10. 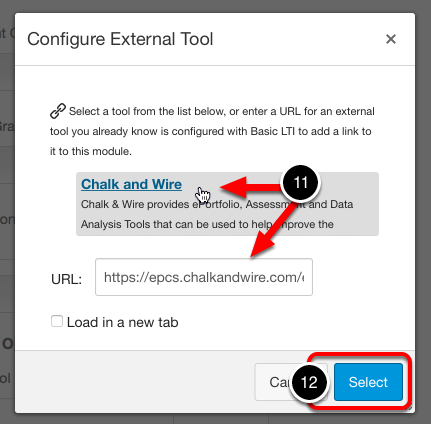 Click on the External Tool URL text-entry box to reveal a pop-up window below. 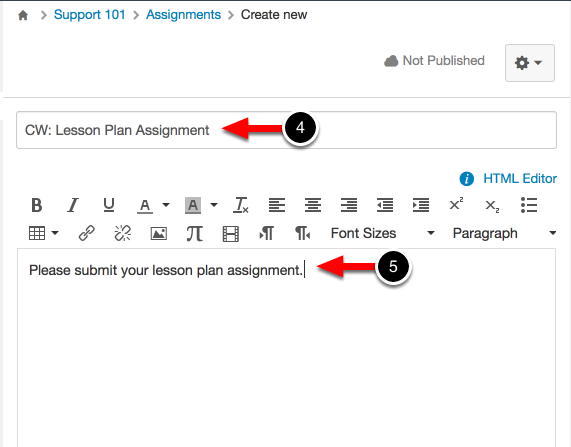 Once you have saved and/or published the assignment, it will appear in the Assignments list within your course. 15. 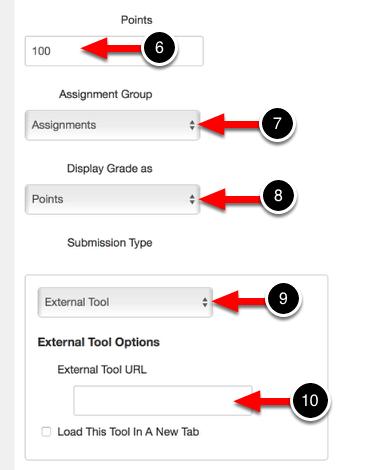 Click on the name of the assignment that you created in your course (image above). 16. 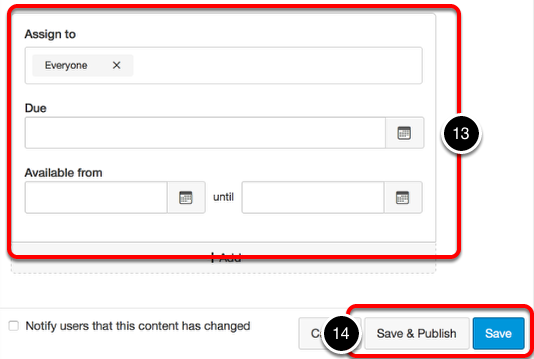 Select the Department that contains the table of contents or assignemnt to populate the next drop-down menu. 17. 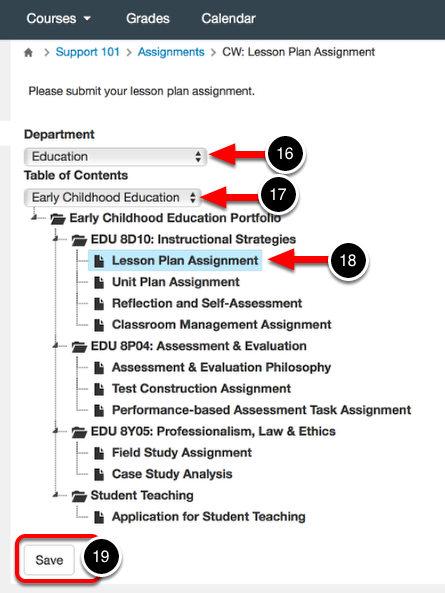 Select the Table of Contents or Assignment from the drop-down menu. 18. If you are linked to a Table of Contents, select the Table of Contents Section that corresponds to the Assignment Link that you've created.